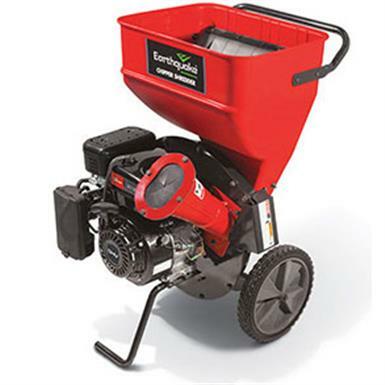 Earthquake 212cc Chipper Shredder makes quick work of leaves, twigs, and branches! High-efficiency workaholic! Turn branches and brush into manageable wood chips, mulch or compost in a jiffy with little effort. The beefy 212cc Viper engine provides the power, and dual triangular-hammer design puts it right at the point of impact, handling even hardwood and palm fronds with ease. Whether for landscaping, starting fires, or clearing downed trees, this Earthquake Chipper Shredder is a DIY dream come true! Grinding chamber dimensions: 2.5" x 14"
Hopper dimensions: 16.75" x 13.25"
Please Note: Gas and diesel-powered items once gassed or oiled, cannot be returned. The manufacturer will require the customer to visit a qualified service center for inspection.